BMW are one of the most well-known, established car brands in the world. 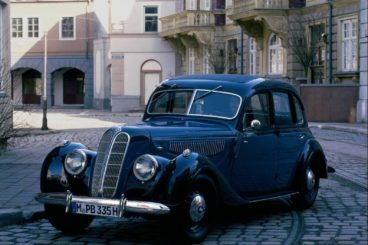 Producing both executive and city cars alike, BMW have a rich and interesting history. In fact, BMW started as three other manufacturing companies. So how did it become the prestigious car brand we know and love today? In this article, we look at the history of BMW, from its founding to the present day. When did BMW start making cars? As we mentioned, BMW started as three separate manufacturing companies. These were Rapp Motorenwerke, Bayersiche Flugzeugwerke, both in Bavaria and Fahrzeugfabrik Eisenach in Thuringia. It became Bayerische Motren Werke GmbH (BMW) in April 1917. However, they didn’t start making cars straight away. Instead, they produced aircraft engines. As it was in the middle of the First World War, this is to be expected. Their first product was the BMW IIIa aircraft engine. It had good fuel economy and performed well at high-altitudes which resulted in a huge amount of orders from the German military, leading to rapid expansion for BMW. After the War ended BMW were forced to stop producing aircraft-engines due to the terms in the Treaty of Versailles. To maintain business, they produced railway brakes, household items and farm equipment. When the restrictions of the Treaty of Versailles began to be lifted in 1923, BMW started producing motorcycles, starting with the R32 model. They started producing cars in 1928 after the company purchased the Automobilwerk Eisenach car company. Their current model was the Dixi 3/15 which was a licensed copy of the Austin 7. This begun production in 1927 and became the BMW 3/15. The first vehicle designed entirely by BMW was the 3/20 and was produced in 1920. It was powered by a four-cylinder engine, based on the Austin 7 engine. The first straight-six engine vehicle was released in 1933 and was the BMW 303. Throughout this period, BMW expanded their range to include sedans, convertibles and coupes. What happened to BMW during World War Two? BMW started to produce aircraft engines again during World War Two, producing them for the Luftwaffe. Their Munich factory used forced labour. This included foreign civilians, prisoners of war and inmates from the Dachau concentration camps. Some successful engines included the BMW 132 and the BMW 003 turbojet which powered the Heinkel He 162 Spatz. The first ever four-engine jet aircraft ever flown were the 6th and 8th prototypes of the Ardo Ar 234 jet reconnaissance bomber. This used BMW 003 jets for power. During the Second World War, BMW factories were bombed heavily and their facilities in East Germany were seized by the Soviet Government. The remaining facilities were banned by the Allies from producing motorcycles or automobiles. And once again, BMW had to find a way to stay afloat. What did BMW do after World War Two? During the ban, BMW salvaged equipment and used second hand materials to make pots and pans, then later producing kitchen supplies and bicycles. They were granted permission to resume production of motorbikes in 1947, the first being the R24. Despite being banned from making cars, Bristol Aeroplane Company in the UK were making vehicles based on BMW’s pre-war models. BMW started making cars again in 1952, the first of which being the BMW 501 which was a large sedan. They expanded their model range throughout the 1950s. This included sports cars, sedans, coupes and convertibles. The BMW 502 had a V8 engine and was the first BMW to do so. Their affordable model, the Isetta, was a micro-car produced in 1955. When was the New Class produced? Despite releasing a range of products, BMW were struggling. While the Isetta was selling well, it had small profit margins and their 501-based sedans weren’t selling well enough to be profitable. The chairman of the BMW supervisory board proposed a merger with Daimler-Benz but this was prevented by the dealers and shareholders. Instead, the Quandt Group had increased their holdings in the company and become the largest shareholder. A development program began in the 1960s for a brand new range of models. These were the Neue Klasse, or the New Class, first introduced in 1962. This included four-door sedans and was further expanded with the 2000 C and 2000 CS in 1965. It was the New Class that was credited for saving the company and establishing BMW’s identity as creating great sports-sedans. When was the BMW 5 Series launched? 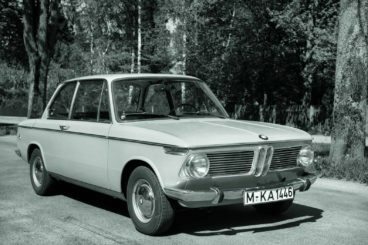 The first straight-six engine since World War Two was being produced by BMW in 1968. This coincided with the launch of the New Six. These were large sedans and were the predecessors of the 7 Series and the 6 Series. The first 5 Series was introduced in 1972 and were a range of mid-sized sedans that replaced the New Class sedans. This was followed by the 3 Series, introduced in 1975, and the 6 Series which was introduced in 1976. The 7 Series was launched in 1978. The 8 Series wasn’t launched until much later, in 1989 and 1992. It was also the first application of BMW’s first V8 engine in 25 years, with the M60. Limited-production of the Z1 started in 1989 and began the two-seat convertible Z Series models. When did BMW launch the M division? 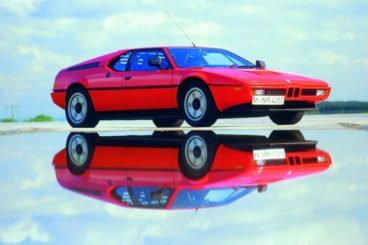 Developed in conjunction with Lamborghini, the BMW M1 was launched in 1978. It was BMW’s first mid-engine sports car and was also the first road car produced by the BMW motorsport division, BMW M.
The M Division produced its first model based on a regular vehicle, the E12 M535i. This was the BMW M. It was also the predecessor to the BMW M5 which was introduced in 1985. BMW introduced their first diesel engine in 1983 with the M1. 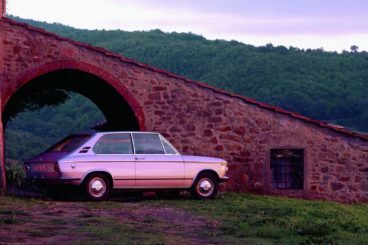 A few years later they launched their first estate vehicle, the E30. When did BMW buy the Rover Group? BMW bought the British Rover Group in 1994. At the time, this consisted of Rover, Land Rover, Mini and MG. It also included the rights to Austin and Morris despite them being defunct. BMW owned the Rover Group for six years, but it was making heavy losses, so BMW decided to sell off a lot of the brands. MG and Rover were sold to the Phoenix Consortium, this later formed MG Rover. Land Rover was taken over by Ford. However, BMW retained the rights to Mini, and the newest line was launched in 2001. Around this time BMW were still producing models including the E38 725tds, which was the first 7 Series to use a diesel engine. The BMW Z3 was the first mass-produced model (outside of the 1, 3, and 5 series) and the first model to be manufactured outside Germany. It was manufactured in the United States. In 1997, the owner of Bentley, Vickers, announced it was going to sell Rolls-Royce Motors. Originally, the choice for a buyer was BMW because they supplied components and engines for Bentley and Rolls-Royce. Both Vickers and BMW also built aircraft engines. BMW offered £340 million for Rolls-Royce Motors, but Volkswagen outbid them by offering £430 million. However, Volkswagen only owned the vehicle designs, production and administrative facilities and model nameplates. They also owned the Spirit of Ecstasy and Rolls-Royce grille shape trademarks. Sounds like a lot, right? It was, except they didn’t have access to the name Rolls-Royce or the logo. These were still owned by Rolls-Royce Holdings. The following year, in 1998, BMW began supplying components for a new range of Bentley and Rolls-Royce cars. They paid Rolls-Royce £40 million to licence their name and logo. So BMW own the name and logo, Volkswagen own everything else. Essentially, either brand can build Rolls-Royce vehicles despite owning bits of the company. After a battle and a long negotiation, it was decided that BMW would supply engines and components and Volkswagen would have the access to the names and logos from 1998 to 2002. From 2003, BMW would be the sole provider of cars with the Rolls-Royce marque and Volkswagen would have Bentley, which they said they wanted more anyway. They have since launched the Rolls-Royce Ghost. When did BMW launch the i models? The BMW i is a sub-brand of BMW that was founded in 2011. The aim was to design and produce plug-in electric vehicles. Initially, the plans were to create two vehicles, the BMW i3 and the BMW i8. The BMW i3 is an all-electric car and began production in 2013. The market launch took place in November of the same year. The i8 is a plug-in hybrid, launched in June 2014. Combined sales of these models reached 50,000 units in just under two years after they were first produced. The BMW i3 was ranked the third best-selling all-electric car in the world, in all electric car history. BMW announced the iPerformance designation in February 2016. This was to provide a visible indicator of a transference of technology from the i brand to the core BMW models. The first of these was to be used on the plug-in hybrid variants of the BMW 7 Series. Since November 2016, four electric BMW models have been released including the BMW X5 xDriver40e iPerformance and the BMW 740e iPerformance. 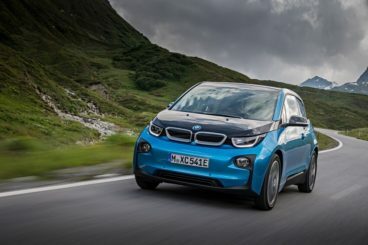 BMW have set themselves a goal to expand the share of its electric models to between 15% and 25% of sales by the year 2025. And that really brings us to the present day. BMW are still making iconic, prestigious models that are driven by business executives and families alike. They are selling an increasing number of electric and plug-in hybrids, leading the way for executive electric models. BMW have showed no sign of slowing down in the past few decades and they don’t show any sign of slowing down now.